Preparations are underway for the Sochi event next month. 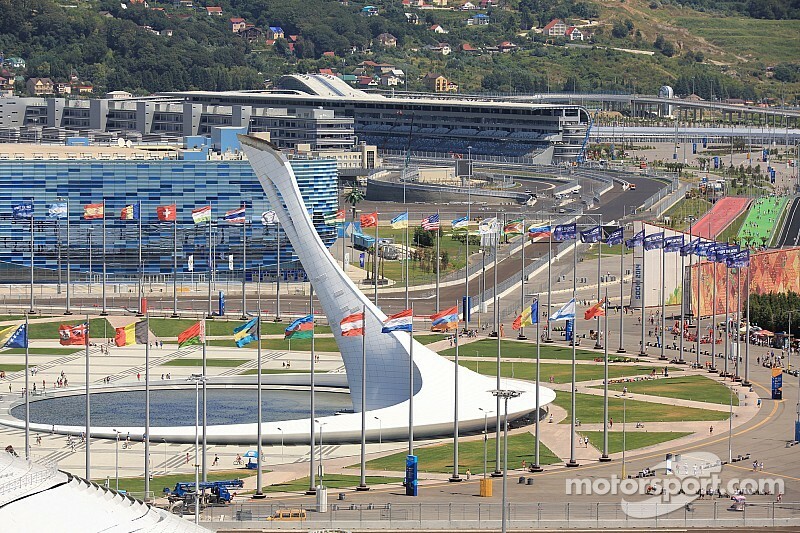 Sep.21 (GMM) Russia is pressing ahead with its preparations for next month's inaugural Grand Prix in Sochi. That is despite the highly controversial and divisive Ukraine crisis, the recent MH17 atrocity, and new anti-Russian punitive sanctions by the US and Europe. In Sochi on Friday, Russian teen Sergey Sirotkin will drive the Sauber in practice, reportedly as part of the struggling Swiss team's 'Russian rescue deal' that may in fact have been heavily delayed over the past months. Asked whether the more intense sanctions imposed by Europe had hurt the deal, team boss Monisha Kaltenborn said in Singapore: "It's not affecting it." Also defiant in the face of the sanctions are the Russians themselves, who insist that the new facility at the former winter olympic park is now ready for F1 mid next month. "The sanctions will not affect the racing," deputy Russian prime minister Dmitry Kozak told the major news agency Itar Tass. Also confident about Russia's inaugural race, to take place the week after the forthcoming Japanese Grand Prix, is Russian automobile federation chief Viktor Kiryanov. He said: "The officials that were here a week ago said that the track is well prepared. "There were small flaws, but the organisers have eliminated them and today I can say that we are ready for the Grand Prix in Sochi," Kiryanov announced.